Perched on ancient cliffs is one of the Veneto's and indeed Italy's most impressive sights. This is the sixteenth century Madonna della Corona. Awesome is so over used these days but when you first set eyes upon this church you'll understand the true meaning instantly. It seems almost impossible to imagine how they could build it here. Perched, swallow's nest style, on the edge of a towering cliff. Threatening to tumble down into abyss below and all the while heart wrenchingly beautiful. The overhanging cliff too seems set to crush the church, held off only by divine intervention. For an idea of what to expect have a look at the video below. Impressive it appears in the video but it is as nothing compared to being there. Legend has it that one night, in the early 16th century, a bright light was seen on the mountain slopes by villagers below. On investigating a statue of the Madonna, holding the body of Jesus in her arms, was discovered. In honour of this statue the church was built, in exactly the same spot as it was first discovered. The original church was only the size of a single room but in the following century it was extended greatly. How did they get everything up here? That is something I have often wondered about and after speaking to experts I have discovered the answer. They lowered everything from on top of the mountain by rope...incredible! 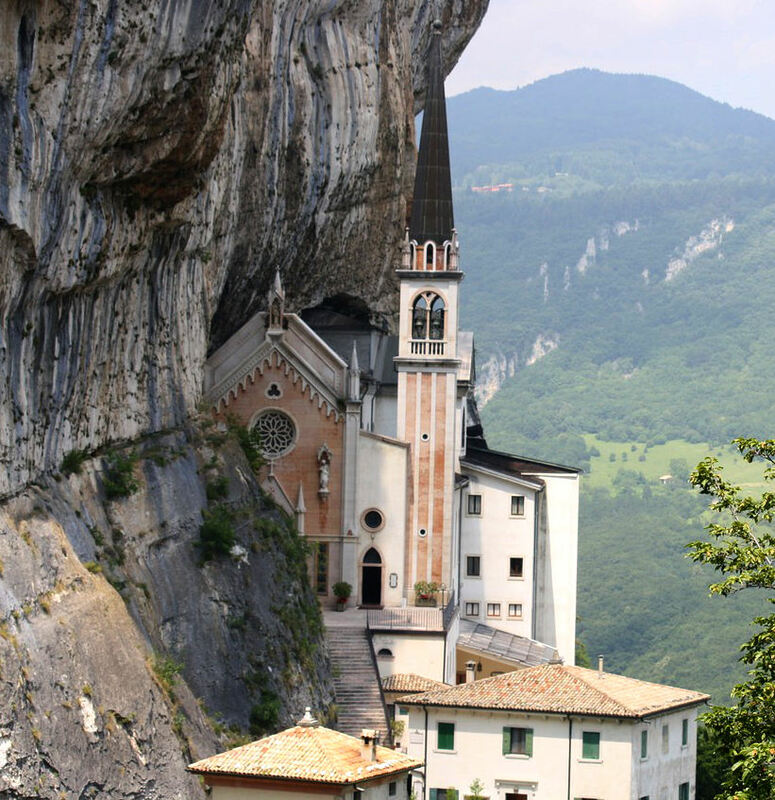 Where is the Madonna della Corona? An easy day trip from Verona or Lake Garda. Base yourself either in Verona (the Hotel Verona is a good option) or somewhere like the Hotel le Mura in Lazise and you'll be perfectly situated to explore the Madonna della Corona. It is best to have your own car to get to the Madonna though and to help you plan your trip I have highlighted the Madonna on the map below the links. 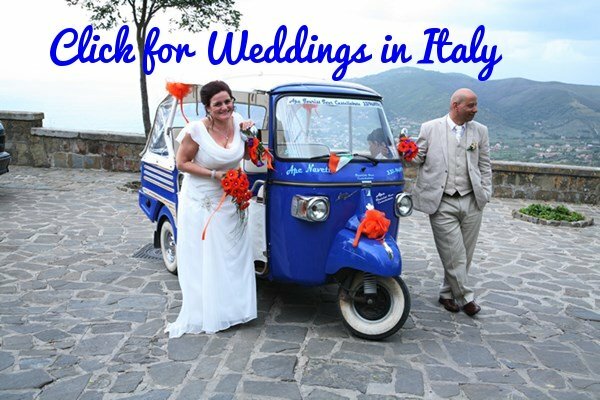 Looking for somewhere to stay in the Veneto? These are my suggestions. For another awesome cliff-top monastery visit the Sacra di San Michele.